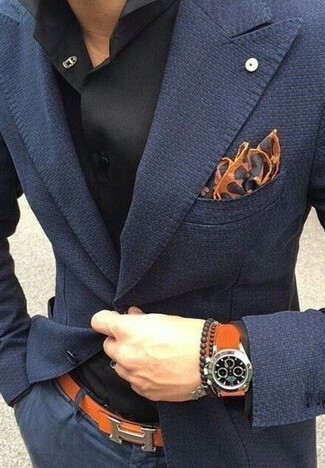 This combination of a navy blazer and grey dress pants is the picture of elegance. To add elegance to your getup, complete with brown leather oxford shoes. Opt for a Maceoo Descarte City Jacquard Blazer and navy dress pants for a classic and refined silhouette. Lift up your getup with tan leather oxford shoes. 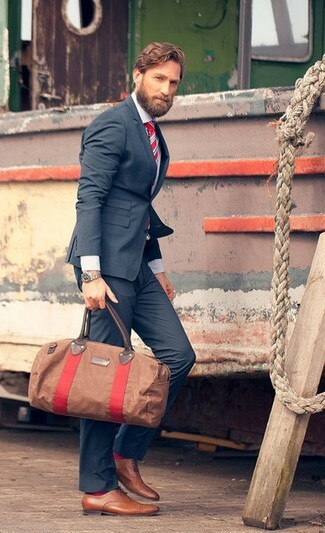 Pairing a navy blazer and brown chinos is a fail-safe way to infuse masculine elegance into your wardrobe. Go ahead and introduce white low top sneakers to the mix for a more casual spin. 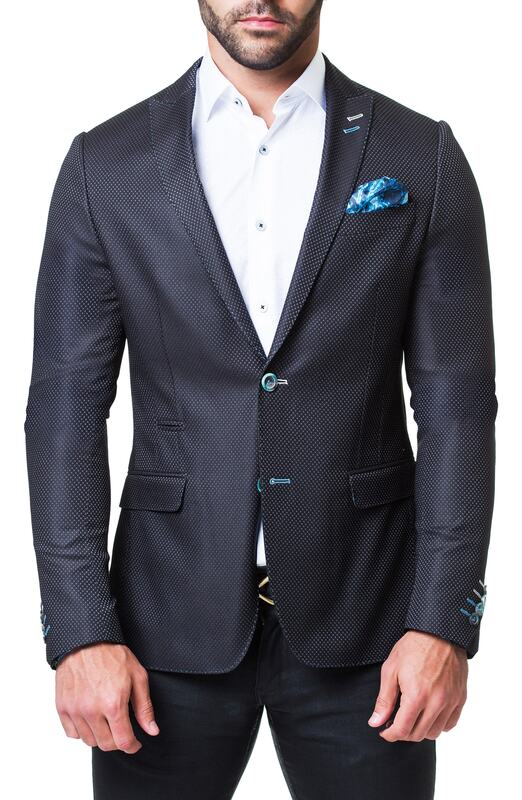 This combo of a Maceoo Descarte City Jacquard Blazer and black jeans is super easy to make up without a second thought, helping you look awesome and ready for anything without spending a ton of time searching through your closet. 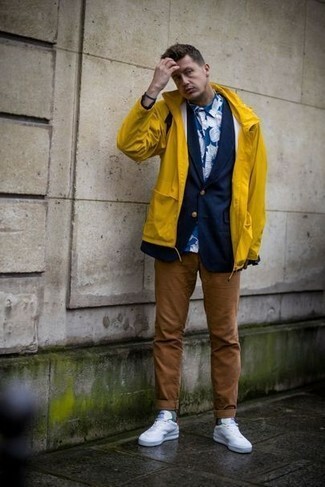 Rock a pair of red leather low top sneakers to make the getup more current. For a casually elegant ensemble, pair a Maceoo Descarte City Jacquard Blazer with white chinos — these two items go perfectly well together. A good pair of tan leather low top sneakers are sure to leave the kind of impression you want to give. 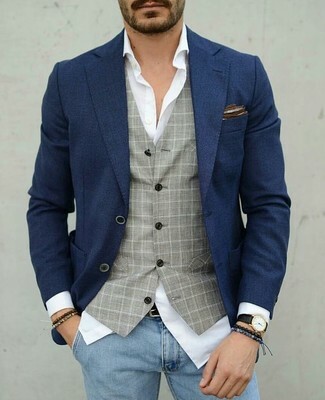 If you're looking for a casual yet dapper look, try teaming a navy blazer with light blue skinny jeans. These pieces are totally comfortable and look wonderful together. As you can see, looking stylish doesn't require that much effort. 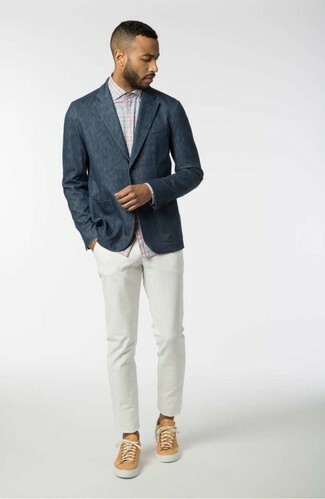 Just pair a Maceoo Descarte City Jacquard Blazer from Nordstrom with white chinos and you'll look wonderful. 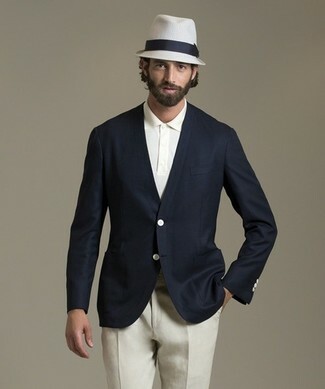 For a smart casual look, consider pairing a navy blazer with navy chinos — these two items work really great together. For a nothing less than incredibly stylish getup, rock a Maceoo Descarte City Jacquard Blazer with grey wool dress pants. Rock a pair of black leather double monks for a more relaxed feel.